The Greene PRF28764A Quality built and skillfully designed palatial sized five bedroom home features expansive living room, large modern island kitchen, family sized dining room, large master bedroom with walk-in closet, ensuite beautiful bath, king sized guest bedrooms and lots of closet and storage capacity throughout home. The Harrington PRF32563A Elegant family home with spacious living room, open to beautiful well designed kitchen with large island work station/snack bar, utility/laundry room with extra large walk-in storage pantry, elegant privately located master bedroom with available luxury ensuite bath, king size guest bedrooms and comfortable second bath. The Hartman PRF16763O Manufactured homeowner preferred single wide floor plan with master bedroom and ensuite bath privately located away from guest bedrooms, thus limiting wasteful hallway space, center of plan spacious living room and large well designed and equipped modern kitchen. The Holcomb PRF32764A Palatial sized well designed elegant family home features extra large wrap around kitchen with an abundance of handcrafted cabinets and seemingly endless countertops, master bedroom will be a bastion of tranquility boasting retreat, luxurious ensuite and large walk-in closet, kingsize guest bedrooms and spacious den/family room. 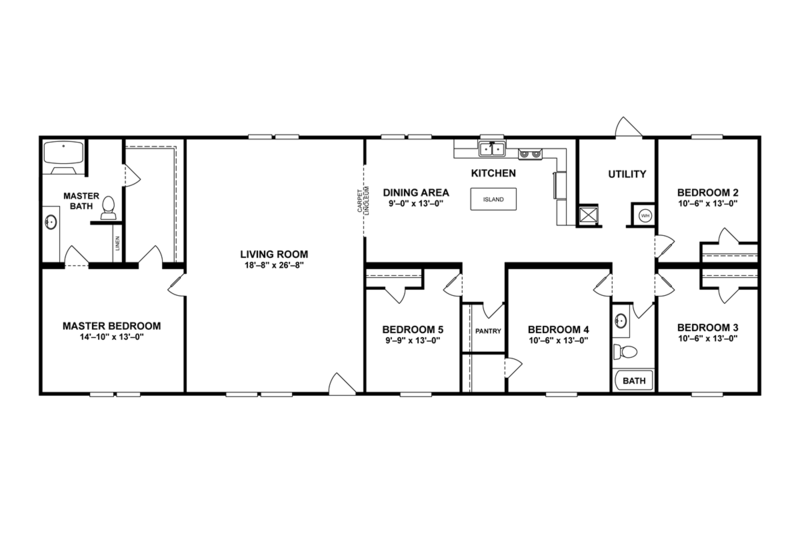 The Jager PRF16763C Value oriented well built single section family home features large living room, beautiful well equipped open kitchen with snack bar, master bedroom and ensuite bath located away from large guest bedrooms and guest bath. 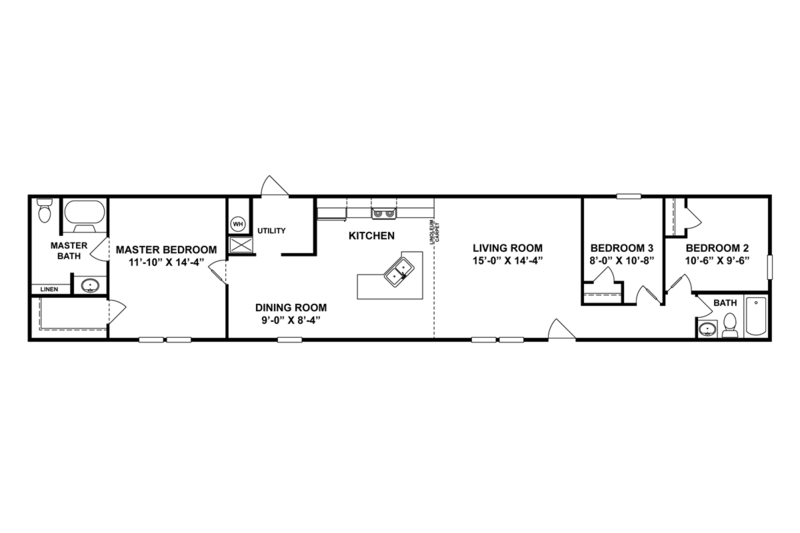 The Jenner PRF14662A Well proportioned affordable two bedroom single section with zero wasted hallway space, spacious living room, beautiful open kitchen, large bedrooms and baths and lots of closet, utility storage throughout. 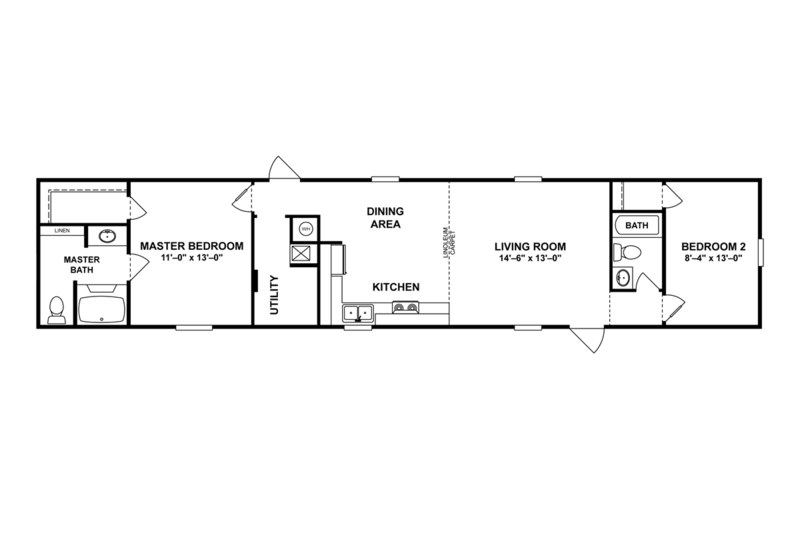 The Joyner PRF16863A Extra large affordable four bedroom single section with spacious living room, bright modern high function and convenient kitchen, big bedrooms and elegant baths. 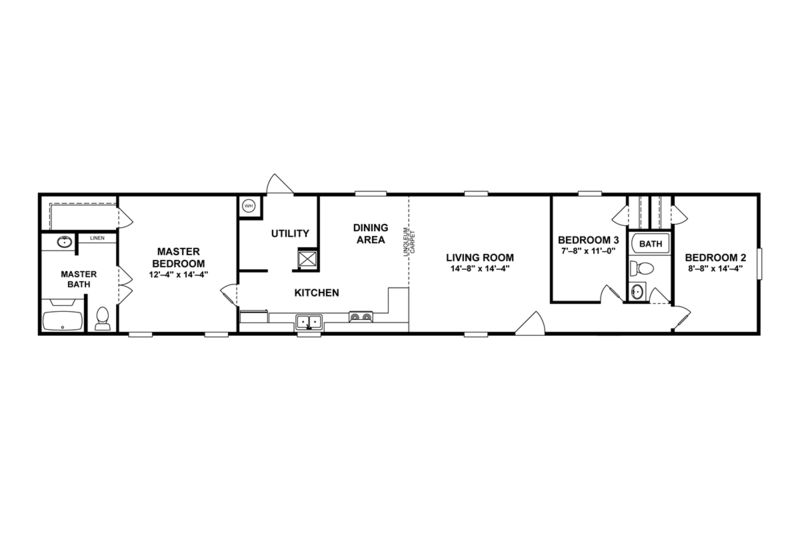 The Lewis PRF16763A Quality constructed value priced single section home features large living area including spacious living room and dining room, well equipped kitchen with large snack bar, big bedrooms and modern baths. 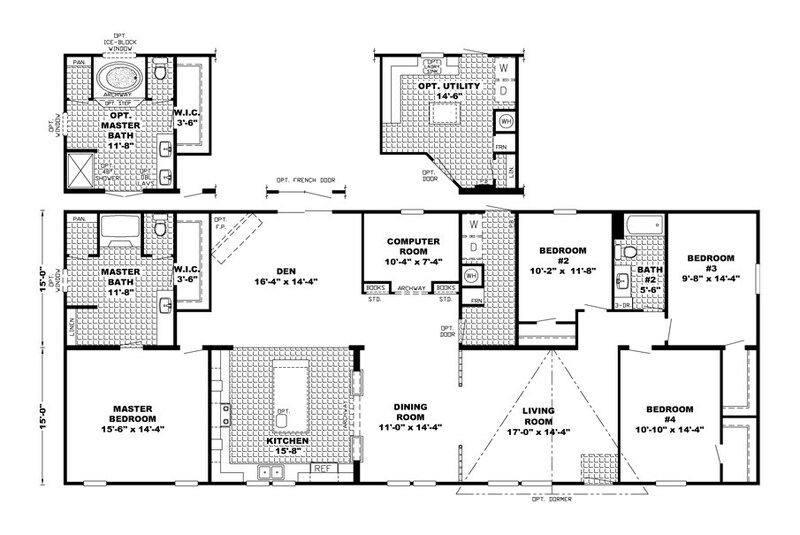 The Ligity PRF28603C Open concept plan with spacious living room open to large beautiful modern kitchen with massive multi-purpose island, den/family room, elegant master suite with walk-in closet and optional alternate luxury bath. The Louis PRF32764C Strikingly beautiful family home features door side country kitchen, formal dining room, large living room, spacious den, computer/office or optional expanded utility room, elegant master suite with optional luxury bath and three king size bedrooms with lots of closet space. The Matthews PRF16763G Homebuyer popular floor plan with master bedroom and bath privately located away from guest bedrooms with large living room and open kitchen at center of home limiting wasted hallway space. 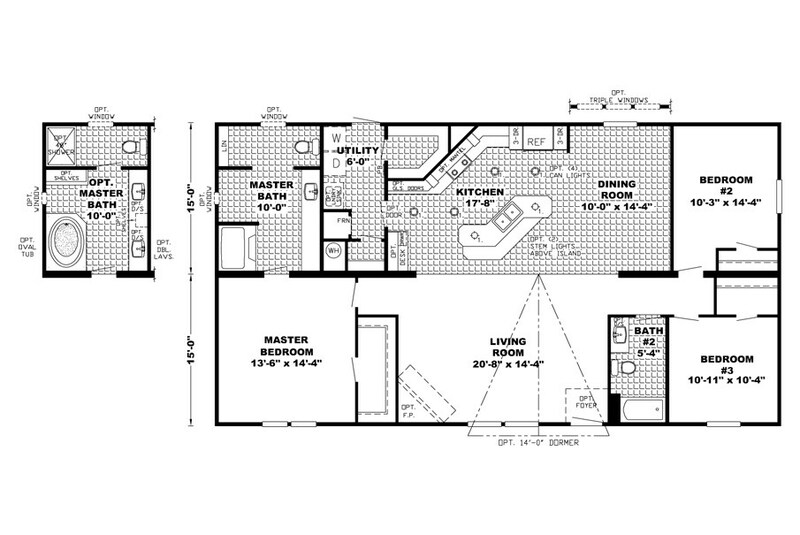 The Mcfadden PRF28724B Well planned affordable quality built four bedroom plus den home features bright modern island kitchen, elegant master bedroom with walk-in closet and glamour bath, big guest bedrooms and lots of closet and storage capacity throughout home.